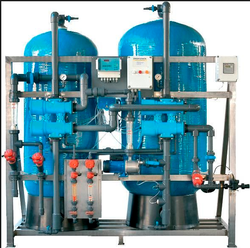 Pioneers in the industry, we offer demineralization water plant, dm plant, industrial demineralization plant, water demineralization plant, de ioniser and dm water plant from India. With the support of our adroit professionals, we provide our clients a high-quality Demineralization Water Plant. Our offered demineralization plant removes mineral salts from water by using the ion-exchange process. 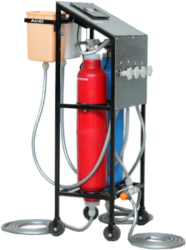 This demineralization plant is provided in customized options in order to fulfill the needs of clientele. 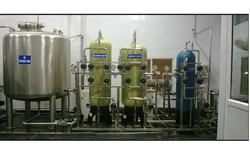 Offered demineralization plant is well tested on diverse parameters to ensure flawlessness. We are a remarkable entity, engaged in offering high-quality DM Plant. The offered demineralization plant is highly valued in the market for its smooth performance. This demineralization plant is developed by our competent professionals utilizing quality raw material and leading technology. 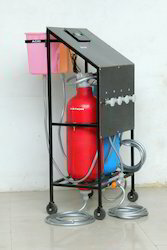 Our clientele can avail this demineralization plant from us at affordable rates from us. To meet the diversified requirements of our clients, we are offering an assorted range of Industrial Demineralization Plants. This demineralization plant is developed by finest material & leading technology in adherence with international quality standards. 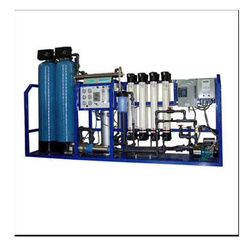 Offered demineralization plant is available in different stipulations to meet the needs of our patrons. Our offered range of demineralization plant is tested on numerous parameters of quality so as to dispatch a flawless range. We introduce ourselves as an eminent manufacturer and supplier of Water Demineralization Plant that is used for treating water by means of removing mineral salts & impurities. Our given demineralization plant is examined on several parameters of quality in order to supply a flawless range to clientele. This demineralization plant is designed utilizing best material and modern technology under the direction of skilled professionals. We are offering this demineralization plant to customers at reasonable rates within a given time frame. 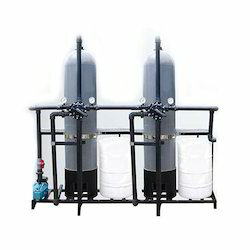 Looking for Demineralization Plant ?